Locking tambour doors provide security for equipment, office supplies, or other stored items. Locking casters roll over indoor surfaces and doorways easily. Ergonomic pull-out keyboard shelf and mouse tray. Photo shows station with tambour doors open. Computer, monitor, keyboard, etc., not included. 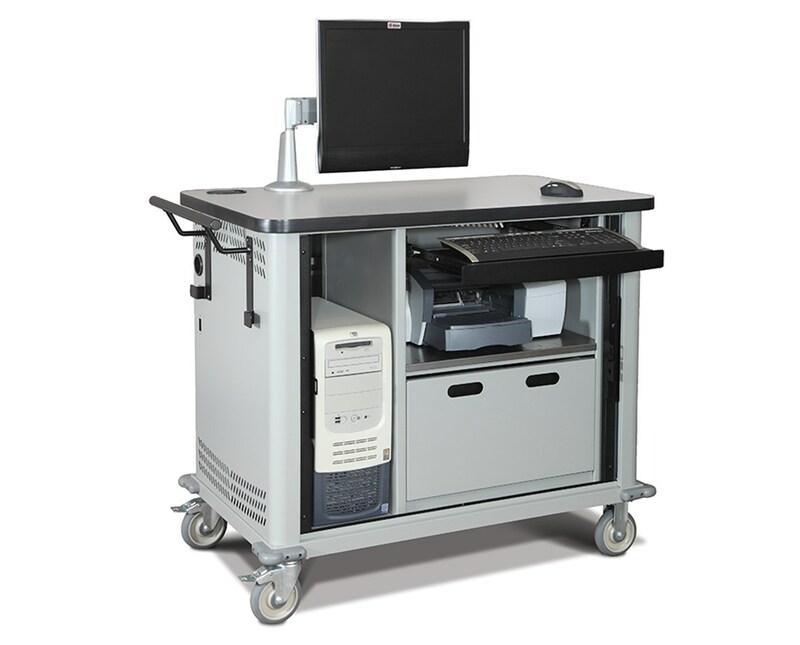 The Datum Mobile Computer Station™ with locking tambour door is the ideal solution for any situation where you need a complete mobile workstation that can also serve as a lockable computer storage unit. 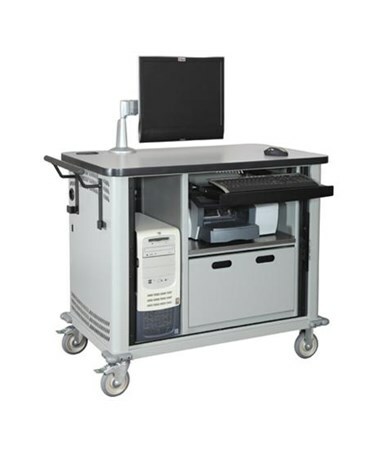 Durable construction from heavy-duty steel means a lifetime of use from this portable workstation. Like all Datum products, it's backed by a Lifetime Warranty. The lockable tambour door provides security for stored computers, printers, peripherals, or other items you want to keep nearby. Grommets on upper work surface and side panels help keep cables neatly arranged. A pull-out keyboard shelf and mouse tray provide ergonomic comfort. The internal shelf is great for storage of peripherals such as printers, or personal effects and office supplies. Durable casters are designed to roll easily over indoor surfaces such as carpets, tiled floors, and doorways. Choose from 4 popular colors, and 4 different matching laminate tops. 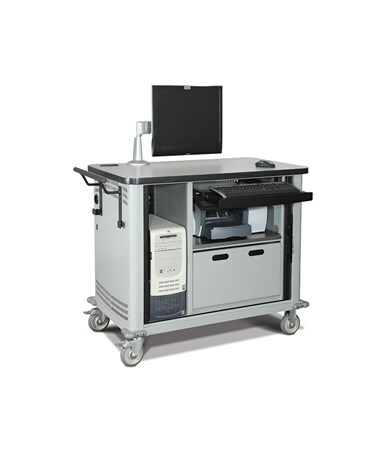 Contact one of our friendly, knowledgeable customer service representatives about additional colors, customization options, and for assistance with creating your own unique mobile computing workstation solution! Durable construction from heavy duty steel for a lifetime of use. 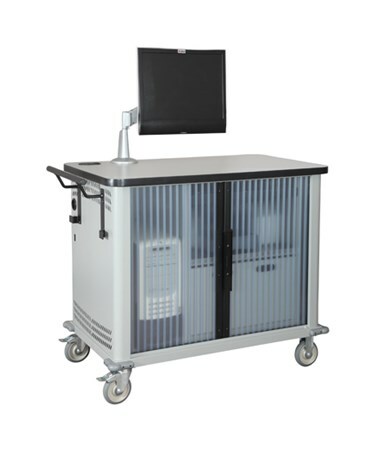 Lockable tambour door on unit provides security for stored equipment. 4 colors, 4 laminate tops. Keys for locking tambour door.